We have an established reputation supplying a class-leading range of products and services for training, safety and media production. Our customers include many of the world's leading safety equipment manufacturers, public agencies, broadcast and film companies, utilities and training providers; all of whom benefit from our unique mix of skills and experience. The 2nd edition of our field guide for Urban Search and Rescue, in use with teams across the world, is now available. 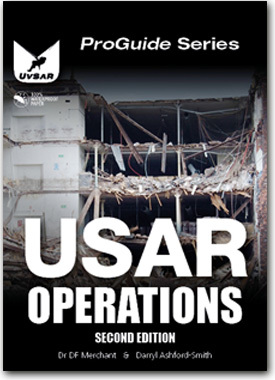 It includes the latest INSARAG search and mapping information, improved graphics, and new information on hot cutting and safe work at height. It retains the same format with our unique ProGuide waterproof polymer paper, and the same retail price of only GBP 19.95 (zero VAT). Branded covers are available on request, as is a special Airshore version for those teams not using Paratech RSS raker systems.